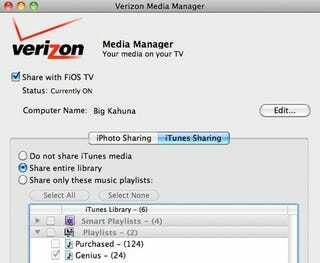 Released by Verizon last week, Media Manager for Mac allows users to stream any iPhone or iTunes media to FiOS TV DVR hardware. Though the Windows software that has been out for a while remains more robust, the new Media Manager does a fine job with playlists, slide shows and the rest. You can download Media Manager for Mac over at Verizon.